Wilton Park, with the support of the Met Office and the World Meteorological Organisation, organised a roundtable dialogue on building and improving early warning systems to prevent and reduce the impact of flooding in the Greater Horn of Africa, building better links between the meteorological, hydrological and DRM communities. Mitigating the impact of flooding on lives and property regionally requires a coordinated multi-sector, multi-disciplinary and multi-agency response, informed by accurate forecasting and modelling. Flooding can compound the challenges for poverty eradication and sustainable development, making them particularly devastating for the low income countries in the region. Early warning is a major element of disaster risk reduction to prevent loss of life and reduce the economic and material impact of disasters. 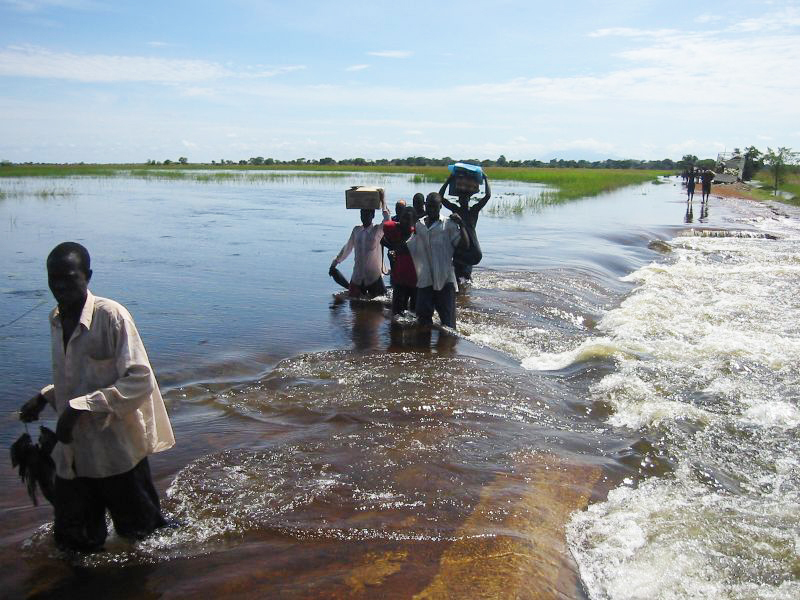 With extreme weather events continuing to increase in the face of climate change, increasing the likelihood of floods, it is critical that countries across Africa begin to take steps to plan for effective implementation of EWS for flooding. No single organisation can provide the level of service required to increase prevention efforts and support local response strategies. Good communication is therefore critical between meteorological and hydrological experts, and between them and decision makers. Early warning systems (EWS) should provide better, more user appropriate, information services to disaster managers and the public in areas prone to flooding, to ensure improved management of the risk and preparations to reduce the impact of flooding. We ask five of our participants what link needs to be made within the disaster risk reduction (DRR) community in order implement effective early warning systems (EWS). As shown during the event by Martin Dawes, Advocacy and Communication Adviser, Communicating with Disaster Affected Countries (CDAC), London. Credit: Christian Aid.